Join a Husqvarna-Viking Education Specialist to create this fun and easy project with the Designer Epic machine! 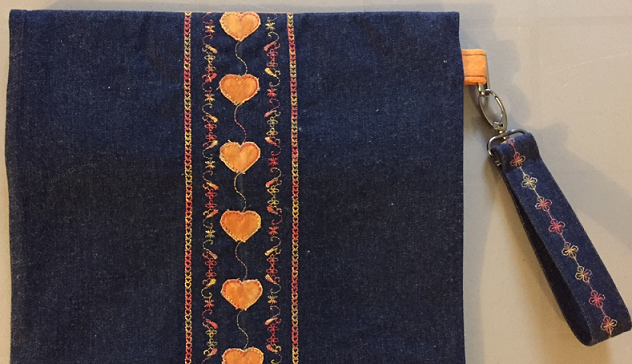 This project shows off various built-in applique stitches, decorative stitches (including how to program a decorative stitch), and embroidery with precise positioning. The multi-line decorative stitch foot and mini piping foot will be used to demonstrate their effectiveness, and the increased piercing power of the Designer Epic will WOW you! Leave this class with a cute clutch to call your own. You do not need to own a Designer Epic machine to attend as machines will be provided. Kit will be provided.